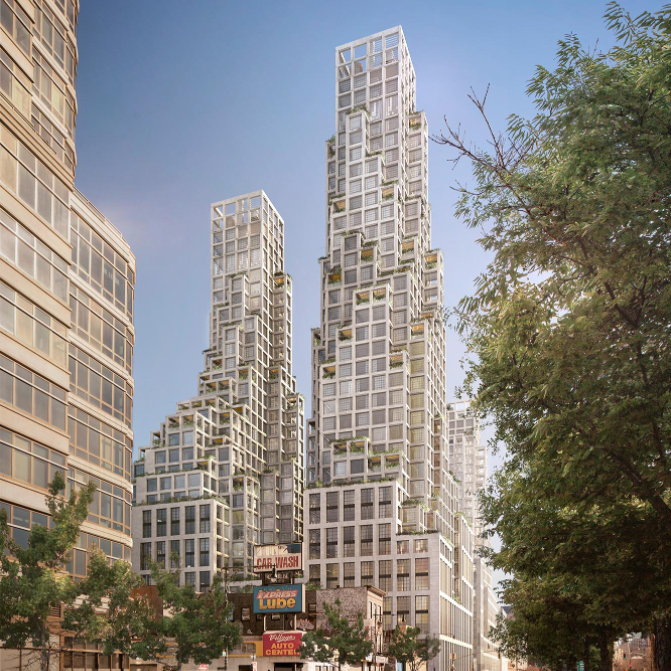 After five arduous years, New York City’s Midtown East rezoning proposal cleared City Council today, paving the way for new office towers to rise in the neighborhood. The proposal, approved 42-0, updates the area’s zoning code to incentivize new, dense development and revitalize the flagging business area in order to compete with the Financial District and Hudson Yards. The 78 blocks in the area are currently home to more than 250,000 jobs and generate ten percent of the city’s property tax base, according to a New York Daily News article penned by Councilman Daniel Garodnick. 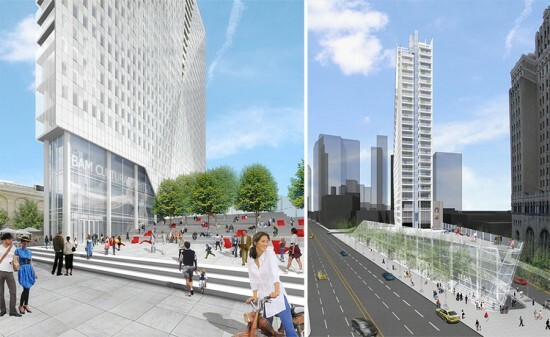 The city anticipates 6.5 million square feet of office space being added to East Midtown. Developers can build higher and gain more floor-area-ratio (FAR) by either buying landmarked air rights or making specific transit improvements (targeted mainly at subway stations). 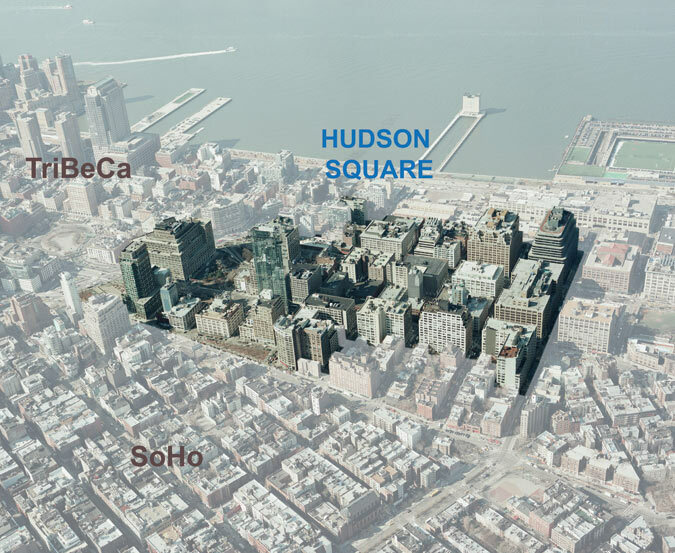 Several recent changes include the lowering of the air rights minimum: developers can purchase air rights at $61.49 per square foot, of which the proceeds will go toward a public realm fund. Developers are also required pay upfront for transit improvements if they choose to go that route; buildings will not be occupiable until those improvements are finished. “The goal is to improve Midtown, not keep it as it is,” Councilman Garodnick said at the meeting. 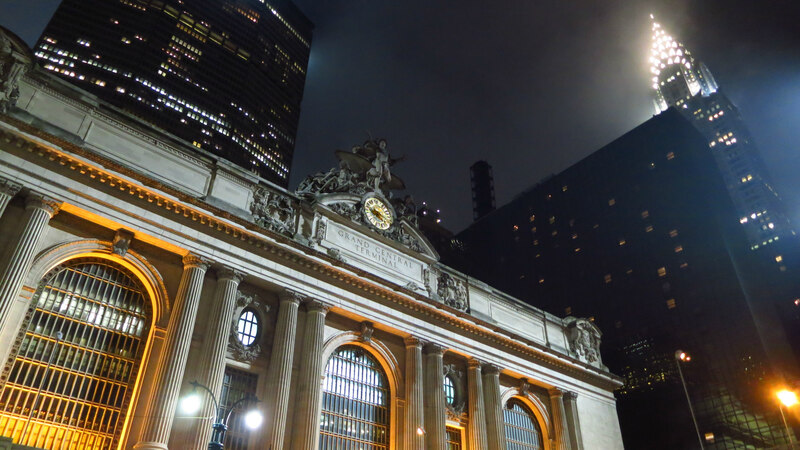 The city has committed $50 million to start improving public spaces—before anything is built—and the first project includes a shared street on 43rd Street, near Grand Central Terminal. Over the next 20 years, the city estimates that up to 16 properties could take advantage of the rezoning. 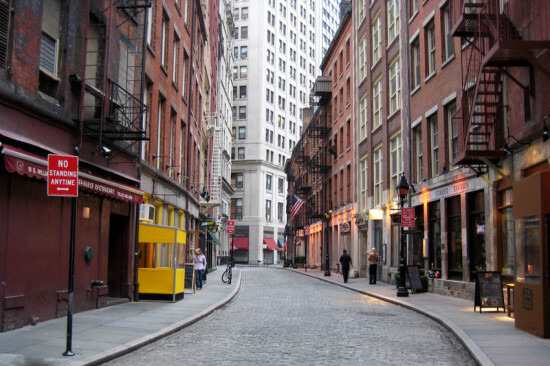 New York City Council members Peter A. Koo and David Greenfield introduced a bill in April 2015 that would radically alter the way the Landmarks Preservation Commission (LPC) considers sites for historic preservation. That measure, Intro 775, was debated yesterday in an epic public hearing that lasted more than six hours. Intro 775 is a proposed City Council measure to eliminate the LPC's backlog of sites under consideration by instituting time limits on how long a site can stay up for landmark consideration. 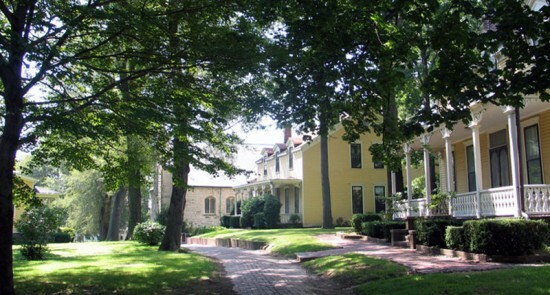 The bill would impose one-year time limits on individual sites up for landmark status and two year time limits on proposed historic districts. All items that the LPC fails to reach an agreement on would not be eligible for reconsideration for five years. If the bill is passed, the LPC would have 18 months to review their calendar and decide on the status of the 95 items. If the review is not complete in 18 months, these items would be permanently deleted from the calendar. Currently, there are 95 sites under consideration by the LPC (map). Of those sites, 85 percent have been on the LPC's calendar for more than twenty years. The LPC actively solicits public input on how to clear the backlog. Area preservationists and architects overwhelmingly oppose the measure. New York City's five AIA chapters issued a joint statement on the bill: "LPC plays an essential role in ensuring the quality and character of our physical city. 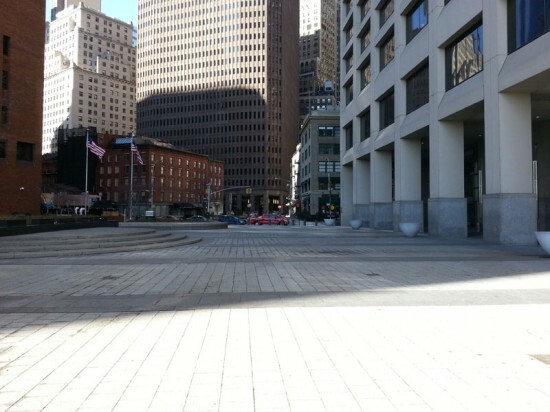 The bill, as written, will compromise our City’s seminal Landmarks Law that so greatly contributes to the uniqueness of our urban realm, gives definition to communities, and increases the value of real estate." Other opponents of the bill claim that putting a time cap on the review process would discourage the nomination of controversial or complicated sites. Meenakshi Srinivasan, the LPC's chair, also opposes Intro 775, but is open to internal rules (in lieu of a city law) to expedite the review of sites. After six hours of intense discussion, the Committee on Land Use delayed the proposal until its next meeting on September 25th. 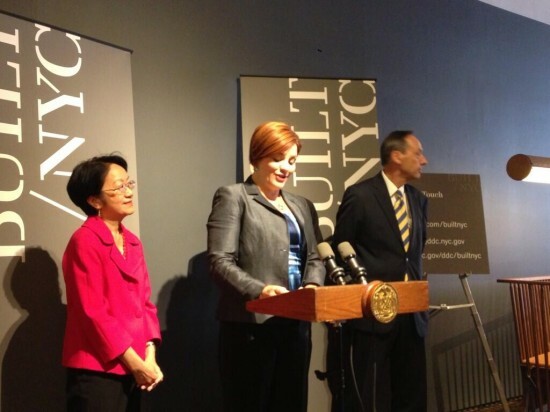 Last May New York City Council Speaker Christine Quinn announced a new initiative, NYC X Design, to promote New York's design community, an economic sector that includes more than 40,000 designers of various disciplines, according to official figures. As an outgrowth of NYC X Design, today the Department of Design and Construction (DDC) launched a new pilot project called Built/NYC, which provides $400,000 in capital funding for custom furniture, lighting, or textile designs in up to 20 city building projects. Council Speaker Quinn's office provided the funding for the project, and at a press conference today held at the NoHo design store, The Future Perfect, Speaker Quinn argued that the initiative would support both local designers and local manufacturers and help maintain a diverse economy. Interested designers can respond to an new RFQ, which would place them on a pre-qualified list to be considered for custom pieces for projects like new libraries, community centers, or fire houses (architects for the building projects sit on the selection committee). According to Victoria Milne, Director of creative services for DDC, designers will retain copyright to the designs, allowing them to potentially sell their objects to other municipalities or to bring them to market through a manufacturer. Industrial and interior designer Harry Allen praised the program for giving opportunities to local designers. He said that New York is "an amazing creative city, but also a hard city." Built/NYC will serve as a new way for industrial, lighting, and textile designers to break into public work. Quinn demonstrated her love of design by complimenting Allen on his slip-on Converse Jack Purcell shoes and she gushed about the wares on display at the The Future Perfect. She warned the assembled reporters to be careful in the store. "If you break it, you buy it," she joked. Only a little over decade ago, Governors Island was a sleepy coast guard base just a stone's throw from Lower Manhattan, but it has since become a destination for New Yorkers offering a slew of recreational activities, events, and new park land. Now the idyllic island could be populated by a new hotel along with restaurants, retail, and other commercial development. 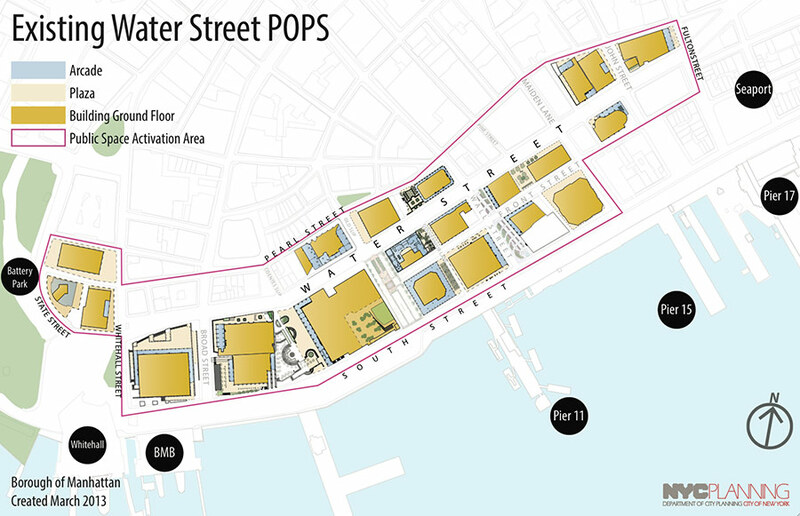 Crain's reported that City Council will vote tomorrow on a zoning change that would allow 40 historic buildings—that make up 1.2 million square feet on the island—to be used for commercial activity. The revenue generated from commercial development would help with upkeep and day-to-day operations of the island, which so far has been paid for by the city. In December, the Trust for Governors Island issued a request for proposals asking developers to submit ideas for the 40 structures that could provide a range of uses and services. 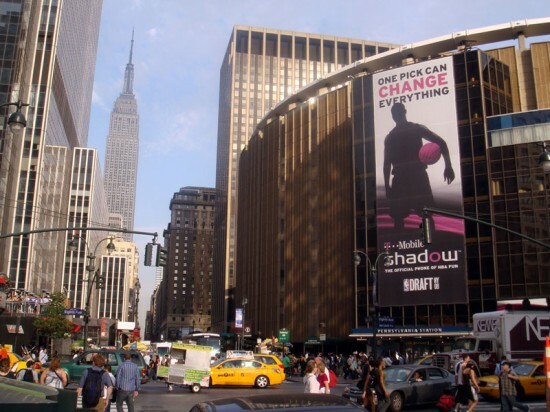 Consensus among the city's political players is growing in favor of the relocation of Madison Square Garden from its home atop Penn Station. 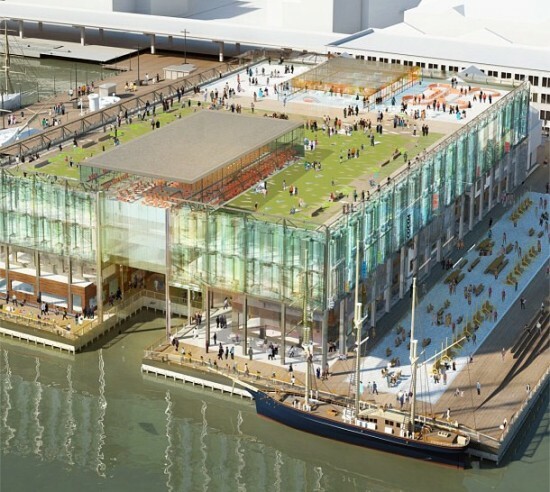 Yesterday, City Council held a public hearing to discuss the future of the Garden and the overcrowded train terminal. Filmmaker Spike Lee, surrounded by an entourage of former Knicks players, testified on behalf of the Garden. According to the Wall Street Journal, City Council Speaker Christine Quinn expressed her support of a ten-year term limit for the arena in a letter addressed to the Garden's President and CEO, Hank Ratner, on Wednesday. The owners of the arena have requested a permit in perpetuity, however, several government officials and advocacy groups—including Borough President Scott Stringer, the Municipal Art Society (MAS), and the Regional Plan Association—have called for limiting the permit to 10 years. This comes after the City Planning Commission voted unanimously for a 15-year permit extension. On a recent walk down Broadway near the AN offices in Lower Manhattan I was handed a flyer by The Granny Peace Brigade who were protesting in front of a building where several New York City Council Members have offices. The flyer claims in bold letters "High Tech Stop and Frisk: Domestic Drones Coming to Your Neighborhood?" It had an image of a LEAPP Drone made by Brooklyn Navy Yard–based Atair Aerospace who claim their powered paraglider "is a slow-flying, long endurance powered paraglider UAV [Unarmed Aerial Vehicle] platform that is used for ISR [Intelligence, Surveillance, and Reconnaissance] and distributive operations payload delivery missions," but that the Brigade believes could be used to monitor for loitering. The Granny's claim "Predator drones assassinate people designated as terrorists, who have never been lawfully charged nor tried. And there is a grave danger that drones will come home." They are asking the New York City Council to declare the city a "No Drone Zone," and for the public to write their City Council representative and ask them sponsor such a resolution. 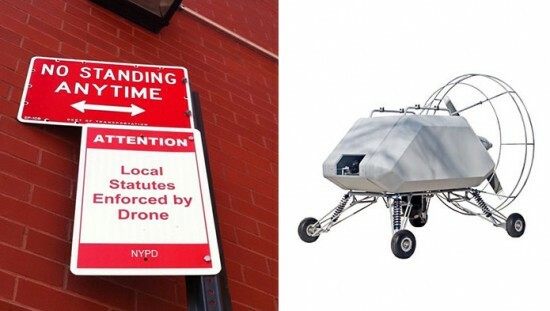 Given New York's controversial stop and frisk policy it is not too early to be concerned with this drone threat. It does seem inevitable that if this technology is used but the U.S. military it will someday come home to local police forces.